From Disney·Pixar's Cars 2, here we have Justin Partson... yet another brand new, never before released Mattel 1:55 scale diecast! 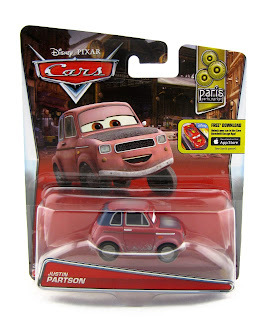 This character has just hit shelves and is part of the 2016 "Paris Parts Market" sub-series (#4/6). 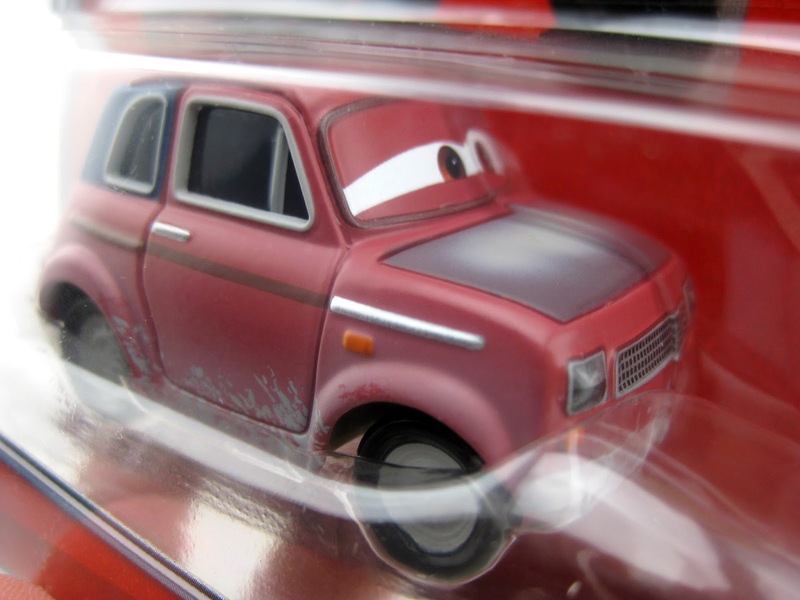 As shown in the screenshot above, Justin is briefly seen in the streets of Paris when Mater and Finn arrive at the [car parts] black market; a funny and clever little scene! I was lucky enough to find this one at Walmart just today! I was super thrilled. This is a really cool looking car that I had been anticipating. I love the overall look, the color and the dirt/mud detail. Make sure you head to your local stores soon to check for availability. Best of luck on the hunt to all my fellow Cars collectors!